Laura Solomon, Esq. & Associates » Emily Christian, Esq. 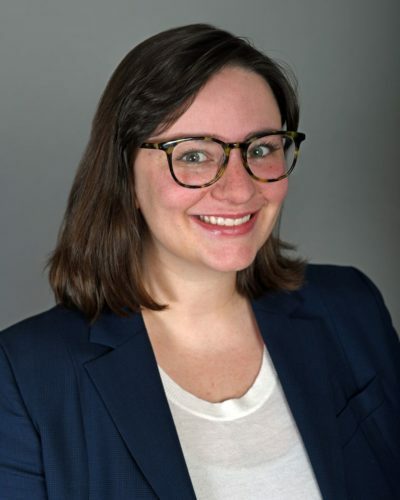 Emily is an Associate at Laura Solomon & Associates, where she advises nonprofit, tax-exempt organizations on all aspects of their formation and tax-exempt activities. She is a graduate of Temple University Beasley School of Law. During law school, she interned for two summers in the legal department of a large truck leasing company, where she worked on various matters relating to the company’s operation, including real estate, compliance, environmental, and contractual matters. Emily received her LL.M. in Taxation, also from Temple Law, in 2017. She started her legal career as an associate at a small firm in Philadelphia, where she focused her practice on commercial and business litigation, as well as Orphans’ Court litigation. Before joining Laura Solomon & Associates, Emily practiced at a prominent Montgomery County law firm, where she advised clients on issues related to estate planning, guardianships, and special needs Trusts. Emily received her Bachelor’s degree in Anthropology from Boston University in 2012. She earned her J.D. in 2016 and her LL.M. in Taxation in 2017. Emily is admitted to practice law in Pennsylvania and New Jersey.